In the last blog post we covered the importance of budgeting your project. So now your project has a reasonable budget agreed. Your next step will be delivering the project within budget. So you need to get to grips with cost control. Luckily Planner comes to the rescue again. So now your project is up and running. People will be working on their allocated tasks. They can record the time they spend on each task as they go. In Planner there will have been a budget allocated hours figure for each person. They simply record their actual hours for that task as a total. So perhaps on the first day 2 hours. Then next day a further 4 hours so the total is 6. This progresses as they (and possibly others) work on the task each recording their ‘Actual hours’. The resources can do this in each task form or can use a timesheet form to quickly update multiple tasks if needed. 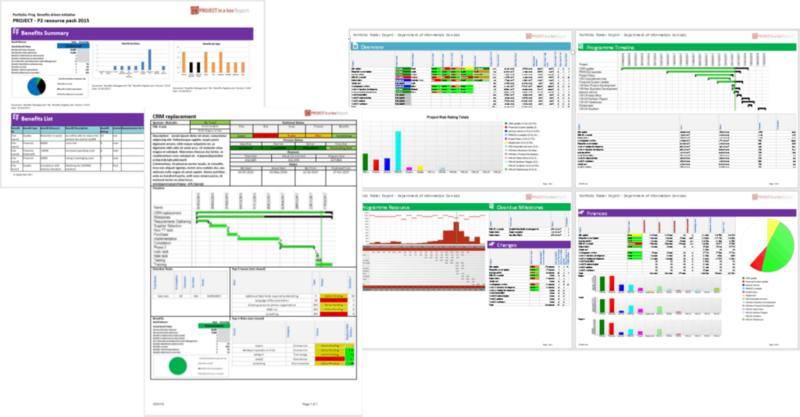 Planner, in the same way it did with Budgets earlier, rolls up these actual resources at the task, summaries and whole project levels automatically. You can do exactly the same with your fixed costs recording the actual fixed costs against tasks. Again this is all rolled up and combined with resource costs to give total Actual cost for the project. Of course all of this work people are doing on tasks hopefully has results and the % complete of the tasks will be changing also. 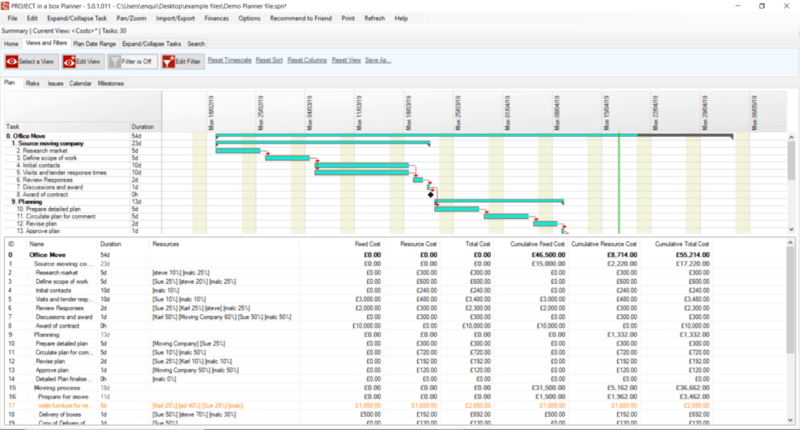 Planner also calculates a progress cost for each task as its percentage complete is changed. The progress cost is the proportion of the budget cost for that percentage complete. i.e. if a cast has a Budget cost of £2,000 and is 75% complete it’s progress cost would be £1,500. You can think of progress cost as what you should have spent for that amount of completeness. 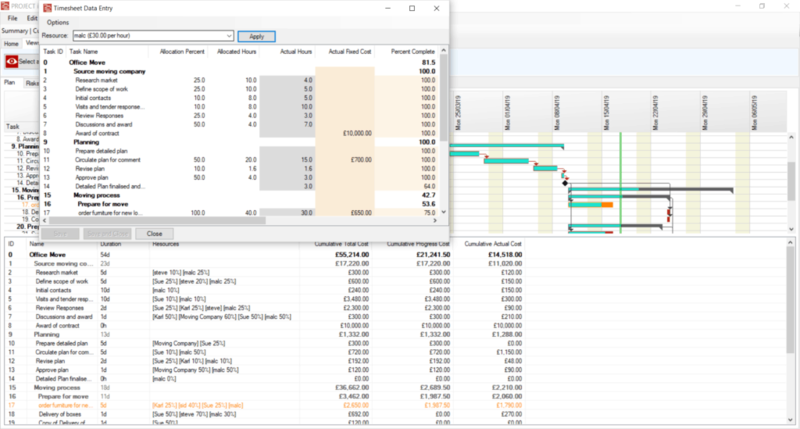 Again Planner rolls up these progress costs for summaries and project level and they can be used to see how different parts of the project are progressing. 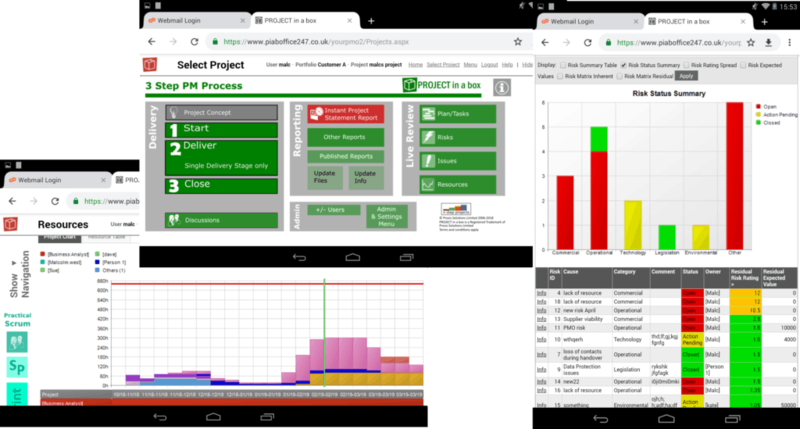 So you can download planner now and it will help you get right on top of your project cost control. Simply sign up to download it today. If you want to see this cost control in action watch our You Tube video here. This is one of our series of Planner Masterclasses. Project finances can be hard, we all know that. And not everyone has the support team to help them with it. So luckily help is at hand in the shape of Planner and its project accounting capabilities. It is an essential skill in project management to get a project budget to match the project deliverables. So if you have the luxury of being able to determine the budget for your project it is best to do it right. You will want to be sure that you have included all the costs you will incur during the delivery of the project. The best way to do this is a bottom up estimate of costs. Your plan is of course the perfect starting point for that. A well planned project should have tasks and milestones for all the activities and events expected. Going through these in Planner you can identify the resources required to deliver each. Sometimes you might list generic resources like Engineer and sometimes specific people i.e. S Jones. As you assign these to the tasks and set the allocation level (as a percentage) Planner works out the number of hours that equates to. You may then choose to set an hourly rate for these resources or leave them at zero rate. Planner rolls up these assignment costs at task level and also through the summaries to a project total for you. In the same way you can also set Fixed cost elements for tasks and summaries. Your fixed costs are also rolled up for you through summaries to a project level. Finally the system calculates a total Budget cost combining fixed and resource cost elements. You can use this raw figure or apply your own contingency and allowances to it to determine your project cost. Perhaps others usually set your project budget. In that case you will find it very helpful to repeat this exercise of bottom up costing to see how realistic the budget is. You will need to make it clear early on if you have insufficient budget to get the job done. If you have this laid out so clearly it will make your job so much easier. Helping you to either shave the scope or increase the budget to a realistic level. Project Finances – let Planner carry the load. Planner will do all of this for you and it is totally free. So register today and download it and you could be taking control of your project finances quicker than you thought possible. You can register and download Planner for free here. And to see all this project finances in work check out our video here on you tube. This is session 8 in our Planner Masterclasses series. In the next blog session we carry on this theme to look at using planner for cost control. For most organisations project reporting is hard. Their reports lack consistency and detail and are also chock full of errors. But if you try to do your reporting by hand that is what happens. Oh and it also takes up a lot of time. Lucky for you then that PROJECT in a box with its library of over 60 types of reports is available to save the day. In a previous blog post we looked at the Project Statement. That is great for a quick overview or when comparing quite a few projects. For contrast, in this post we are looking at the new Weekly Review report. So the Weekly review Report is more the sort of report you would use for a deep dive. Say you wanted to sit down with the project sponsor or had a problem project which needed closer inspection. A major focus of this report is one week forward and one week back. This includes comparing data this week with last week and also some longer term backward trends. We focus on what happened last week and is planned for the next week with tasks and resources. This is very similar to the PRINCE2 highlight report but at a weekly basis instead. An important focus with Tasks, Risks, Issues and Changes is looking at things in train and completion. Making sure things are properly completed and loose ends are not hanging is essential for a successful project. These are all data driven strongly analytical elements the report. The weekly review report also includes selected images from the project library and the custom spreadsheet data sources as this helps to give a flavour of the actual work of the project. Want to use these reports on your project right now? 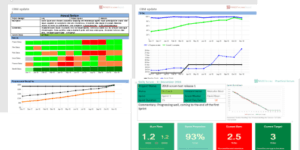 You could be using Weekly Review report and Project Statement report on your projects today. If you are an existing customer and running v5.2 just apply your reporting patches. If you are not a customer yet just contact us and we can provide evaluation access or provision a site for you to use operationally. You can view the Weekly Review report here on YouTube. In earlier blog posts we have looked at what the P3M3 framework is and how to use it. We then also looked at how your organisation can quickly leap up those scores to a three by using PIAB. So now in this third video of the series we explore how you can scale the heights of P3M3 Maturity. Firstly a warning, you you cannot expect to break into the higher levels of maturity overnight. Yes you can get to level 3 pretty quickly. And we gave some good practical advice on this in the earlier post and video. However you will have to let those achievements bed in and become the norm before you can press on further. Think of Level 3 as your P3M3 base camp. The earlier steps were about standardizing your process and systems. So you will need a period of experience operating like that to understand it. Then you can move on to more managed and optimized levels. Having reviews in your processes and collecting and then using lessons learned will help you to identify and absorb improvements. PIAB provides your review documentation and lessons learned library. These really help you implement these important steps. Also customers will often feed important lessons back into new projects as possible risks. In fact we have done a generic version of this for you for free. See learning from lessons on YouTube here. 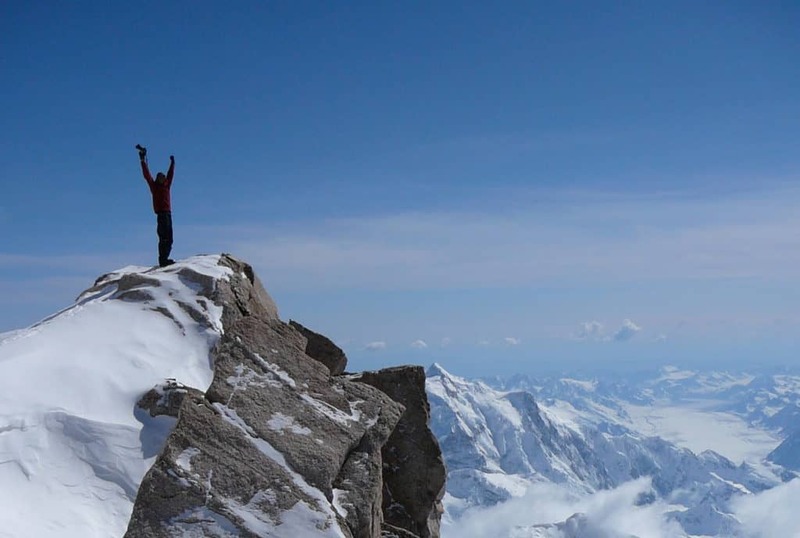 Optimizing process alone will not elevate you into higher maturity levels. You will also need to manage resources and this is usually easier now your teems are consistently collecting this information. You should also be finding more time for Stakeholder management and measuring this so it can be better managed. Our comprehensive YouTube video takes you through all these areas and should be essential view for anyone serious about scaling the heights. You also shouldn’t forget to check out our P3M3 page here. Being a lone Project Manager can be very difficult. You have so much to do and no one to support you. You want to do a good job and use the best tools but could never quite find the right thing. We hear all the time that most on-line tools are just glorified diary’s managing tasks and not really supporting project management. That left you lone PMs with a problem for managing your on-line projects. So that is why three years ago we launched YourPMO. Enabling you as a lone PM to use the same tools corporate PMs use. So as you can see managing your on-line projects like this is very professional. But it is also easy to access. You have the choice of a browser interface or a windows app and can switch between them on different devices. So you have the flexibility to choose what works best for you at that time. You can do even more just from your phone or tablet with the new 2019 YourPMO. Point and click navigation makes it easy to get around. And you can even edit your Planner content or project piabx templates directly in your browser. And what is more YourPMO won’t cost you the earth, just £12 a month or £99 per year. You can find out more about YourPMO including buying options here on it’s own website. Of course if you have more questions just let us know. For those of you who are already PIAB users we have great news. This month sees the launch of the new Version 5.2 for Live Edition and also Enterprise and Small Team editions. As usual we have prepared some videos to take you through the great new PM capabilities. If you don’t have too much time there is an intro video. The intro video is slides and commentary only. So if you want to know more the other videos take you through each area showing the new PM capabilities in action. This will be great news to many users as we know some of you have been looking forward to this. PIAB now takes your changes in property data and automatically creates a history of them. You can they use that history data to produce live trend analysis. You can also use trend analysis in reports at project and portfolio levels. There is a choice about the types of displays for reporting including timelines, status bars and value panes. We have provided a new set of report templates so you can use trend analysis immediately. These 61 report templates therefore allow you to run off the shelf or to personalize for your own needs. We know many of you have been taking a deep interest in the new Practical Scrum method. This is included in the release free for all active customers. We have also provided other new capabilities in the security and integration areas. These are always popular with corporate customers. This 5.2 version will be the launch platform for all new Enterprise or Small Team Edition customers and also Live Edition services. Customers with current maintenance cover can upgrade as soon as they want. Other customers will need to renew their maintenance contracts to upgrade to Version 5.2. If you have any questions about this process or want a private walk through just let us know. We have had a few posts about scrum over the last few months. We launched our Practical Scrum method earlier this month and it is authentically Agile whilst corporate friendly. In this post we are going to look at another agile topic; the Daily scrum meeting. The Scrum method even gets it’s name from the daily scrums that are at the heart of the active management of the project. So you might therefore be wondering why we didn’t cover it earlier… and the answer is simple. You needed to get to grips with the Product Backlog first. See I told you it would be different. What you will do today? Are there challenges putting your delivery at risk? This meeting is not a status meeting, to see why that is important read more here. Smaller groups may meet to replan or address challenges immediately after the Daily Scrum has finished but this won’t be the whole team. So of course when we developed Practical Scrum we wanted to make it easy to support Daily scrum meetings. The product backlog template creates a burndown chart for the current sprint which is great. You can also use the Sprint stories list in the product backlog as a basis for your scrum stand-up. Because we built a traditional schedule into Practical scrum you also have a great timeline for planned activities. Your Issue and risk registers will also assist to identifying and addressing challenges. Of course all of this is available for free to users of Practical scrum in Community Edition and Planner. You can sign up and download that now and use it forever. 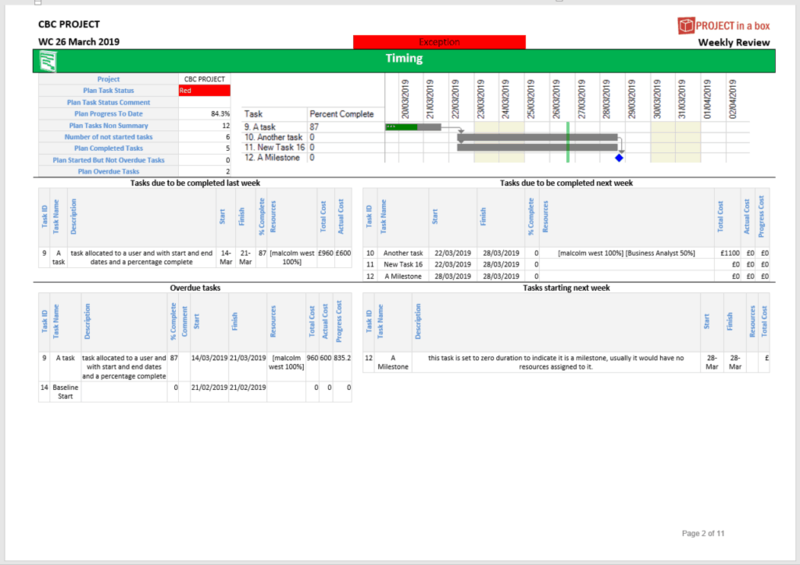 If you use Practical Scrum on our multi-user tools you will also be able to generate a Daily scrum report. This new report is great for bringing together all the info you need to run your Daily scrum meeting. It is produced into word so you can annotate it with discussions and save it to your report library. We all know what at the heart of a well run Scrum Project there will always be a Product Backlog. So when we started working on the Practical Scrum method creating one was a high priority. We wanted to support you with great Scrum practice and also give you flexibility. That could be a difficult challenge but by using a spreadsheet backlog we have managed it. So if you are new to Scrum you can use our provided Product Backlog. And if you already have a well proven popular template, just simply swap your in. You get this flexibility because the method is templates and changes are easy. Hence no need for database recoding if you want to add a field or change a calc. This is your product backlog of unassigned stories. The template supports both entire product and sprint levels in the one file which makes it easy to rejig and move stories when sprint planning. Each sprint consists of your chosen set of stories with a resource pool and timescale for delivery. Now your sprint is up and running. So each day you will be updating the template. You will be estimating the remaining work needed to complete the planned activities. The Product backlog template rolls these estimates up to produce your burndown chart. The template also creates the other stats you need to monitor progress. 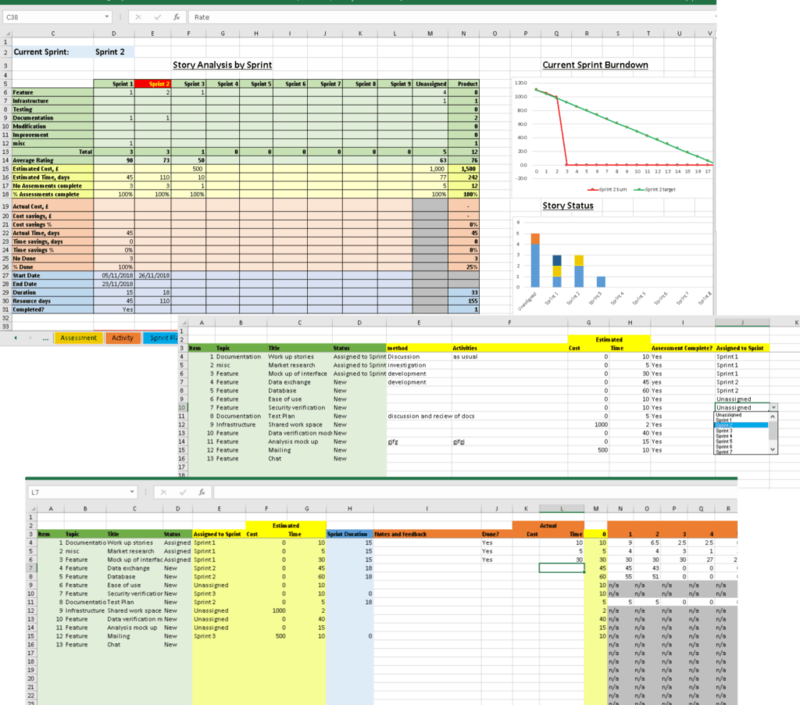 As the Product Backlog is a spreadsheet editing will be familiar. You also won’t need internet access to work on the file. Practical Scrum including the free Product backlog tool is available for use by anyone on our Community Edition tool. This will be launched in the next few days and available here to download for free. Customers of our commercial tools can also add on Practical scrum for free from their user accounts. If you can’t wait to get your hands on the Product backlog why not take a look at the video on You tube here. Of course you could email us and we might be convinced to give you pre-release access. So in the last post we talked about Scrum and how it delivers well in dynamic situations. Scrums focus on getting the best possible product with the resources provided is what makes it good. However this and other aspects of Scrum can make it less popular to your management. So at PROJECT in a box we have developed Practical Scrum. This will help you get the best of Scrum and keep your management happy at the same time. So lets look through these and see how the new Practical Scrum method helps address these. Our Practical Scrum method starts with a launch process. This additional process is used to set up the project and establish confidence . Upon receipt of a Mandate the Product Owner would lead the creation of a Business case and Benefits statement. The team would also prepare normal project controls like risk and issue registers and schedules. Having taken the project through this Launch the organisation can be confident the project is viable. The team will also be able to report on their progress in-line with the organisations norms. Without the consistent controls types like plan, risks, issues, benefits it is hard to fit Scrum projects in with other projects in the portfolio. This will raise confidence about these projects from within the PMO. Because the PMO will have real time access to latest data and be able to compare and combine Scrum and non-scrum projects. If the project looks like it might be failing, it will be possible to stop it early. A clear business case and benefits statement allows such choices to be transparent. Without clear benefits to test the project against it could grind on delivering the best it could with the resources even though that end product was overall not going to deliver enough benefits to justify it. The organisation can then decide to finish or reassign the resources to other projects which may deliver higher benefit outcomes. Anyone can use the Practical Scrum method for free. Simply download our free Community Edition tool and use it alongside the other available methods. Our commercial customers can also add this method to their existing library of methods for free. You can then use it to create and run as many projects as you want. You can use it for free forever. 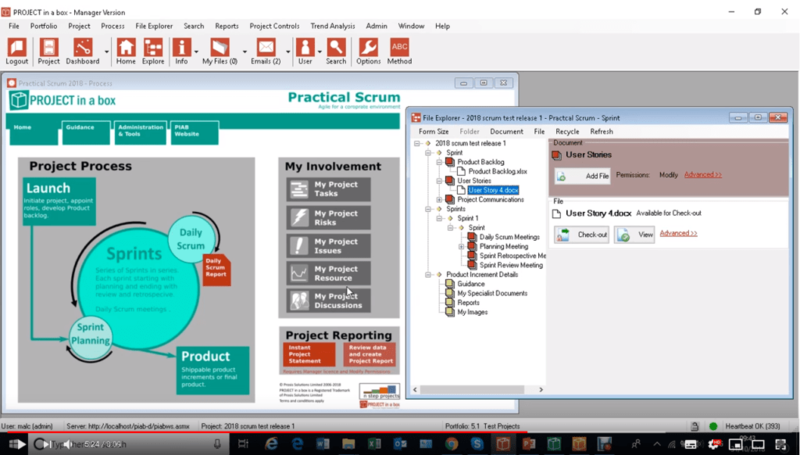 To see Practical Scrum in operation have a look at our latest YouTube video here. In the next few days all Community Edition downloads and patches will contain Practical Scrum.